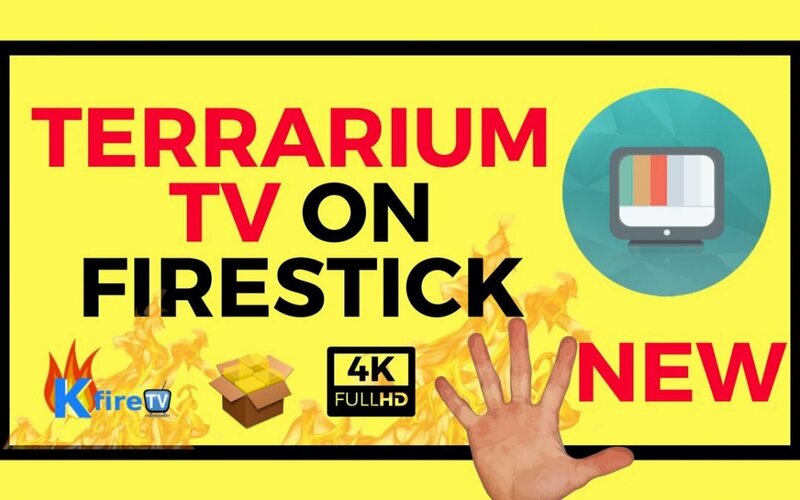 This tutorial shows you how to install Terrarium TV on Firestick. The steps above are just a brief version of how to install Terrarium TV on Amazon Firestick. To see the detailed version, keep reading! Sections 1, 2, and 3 below walk you through the entire process to install Terrarium TV latest APK on Amazon Firestick. In the next section, we use the Downloader app we just installed to install Aptoide. Now just use the steps below to utilize the Downloader app to install Aptoide TV (third party app store) on Firestick. Wait for Aptoide TV to finish installing. Then press “Open” to launch Aptoide TV. We’re almost done! Now just use Aptoide TV to install Terrarium TV on Firestick in the next section. In these last few steps, we use the Aptoide TV third-party app store to install Terrarium TV on Amazon Fire Stick. After Aptoide TV launches, select “Cancel” when Aptoide TV asks if you would like to “Update”. Then navigate to the main part of the Aptoide TV screen. Now select the Terrarium TV icon. Now Terrarium TV is installed! At this point, just use Terrarium TV to watch movies & TV shows on Firestick. To use Terrarium TV, just navigate around the home screen of Terrarium TV using the Amazon Firestick remote’s up, down, left, and right buttons. When you find a movie or TV show you want to stream, select it using the Center button on the Firestick remote. To search for a Movie or TV show in Terrarium TV, select the Search icon in the top right corner of the screen. Then enter a search time and press “Go”. Looking to install Terrarium TV on Firestick using Droid Admin? See our Droid Admin Terrarium TV code below! Tested on Android phone (Moto X4) and totally works!